I’m always looking for new products for Brady and ideas to give family members for holidays and birthdays. 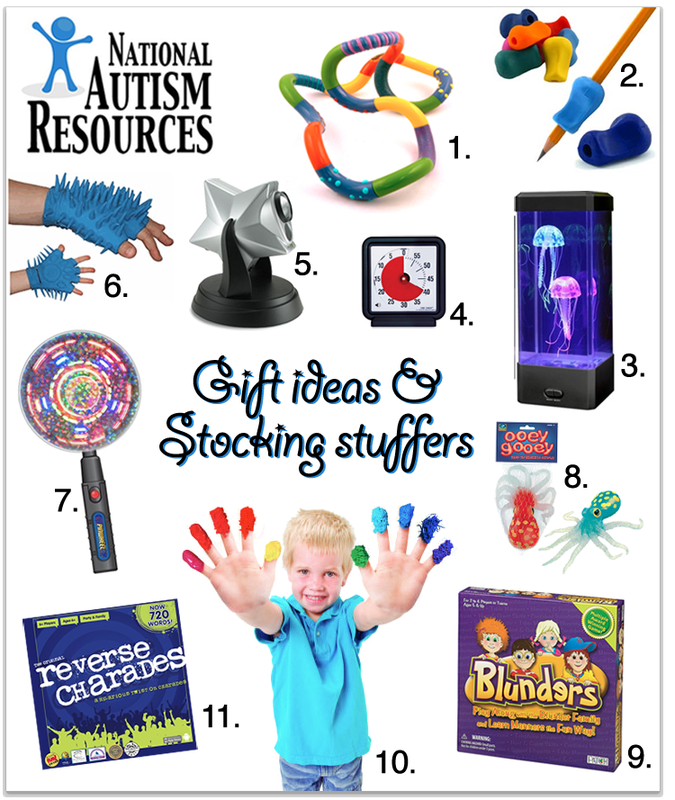 So many products that are geared towards typical kids are great for autistic kids as well. I’ve written multiple gift guides showcasing various products, toys and even apps over the years. This year, the National Autism Resource did the work for me. A lot of really amazing products are showcased and we actually own a fair amount of them too. Our current favorites are the Original Tangle, a great fidget toy and the Ooey Gooey Octopus. Great sensory toy and wicked fun. The one I’m adding to our wish list now is The Laser Stars Projector. Brady loves toys that project images on the walls and ceilings! Take a look at their guide and if you enter coupon code “Boombox” you will receive 5% off until 12/31/2014! disclosure: This is a sponsored conversation written by me on behalf of Boombox Network . The opinions and text are all mine.